Green Bottle Flies (Lucilia spp., formerly Phaenicia spp.) 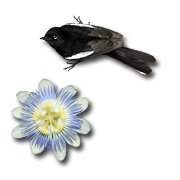 are a metallic green with a golden sheen and have big red eyes. They are actually surprisingly attractive when seen up close, but I've had trouble getting nice, non-revolting photos of these common flies because they are usually attracted to rotting garbage, dead animals, open wounds, and other unappealing photographic subjects. Fortunately, I have fly-attracting South African Stapelia (Stapelia sp.) flowers in my garden, and the Green Bottle Flies find them absolutely irresistible. 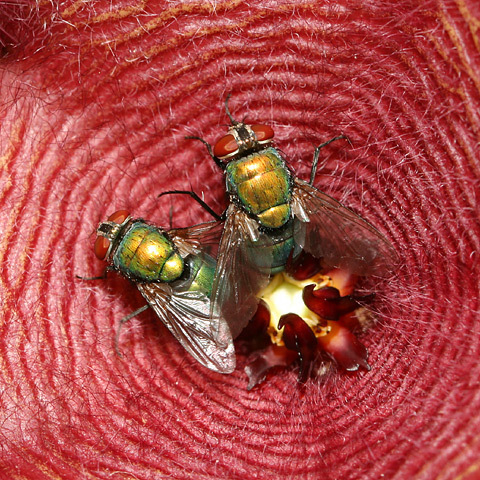 Stapelia flowers stink like garbage or rotten meat, which attracts flies, their primary pollinator. 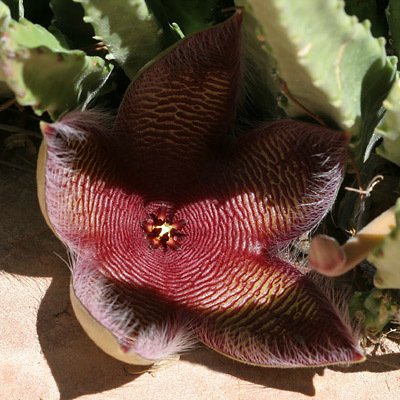 This particular Stapelia even has a bloody purplish red color and a light covering of hair to add to the raw animal flesh-like effect. I'm not sure what the flies were doing in the flowers, perhaps feeding or trying to lay eggs, but they seemed to be a bit dazed, and I was able to photograph them with greater than normal ease. I also noticed a couple of dead flies in some of the flowers, which may either be just a coincidence or may mean that these flower's attraction is not entirely harmless to flies. My Stapelia plant has several open flowers and a number of buds ready to open, so these confused flies will be hanging around for a while. 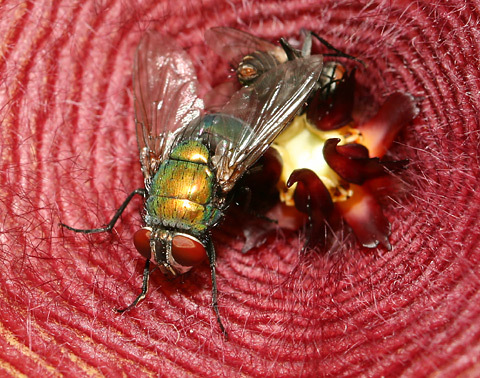 When not lured away by deceptive Stapelia flowers, Green Bottle Flies will normally lay their eggs on carrion or open wounds (resulting in myiasis or maggot infestation of the wound). 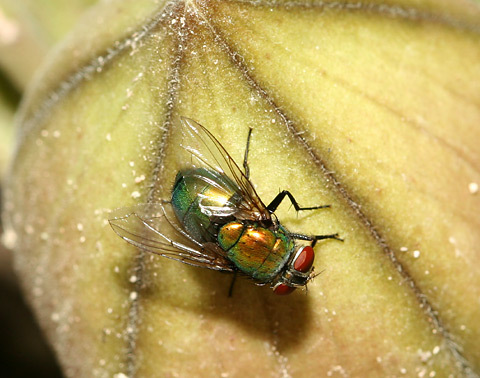 Green Bottle Flies are blow-flies (Family Calliphoridae), and the stage of development of their larvae in dead bodies is evidence that can be used in forensic science to estimate the time of death.